The CAUSE Leadership Network is an invitation-only, membership program and platform for next generation leaders to channel skills, expertise and passion for the purpose of cross-sector advancement and the empowerment of APA communities. Through opportunities for key connections, knowledge-sharing, and dialogue, CLN is a space dedicated to the mutual advancement of emerging APA leaders across all sectors. CLN members are committed to creating space for and driving our collective APA community forward. See a listing of all Leadership Network members here. 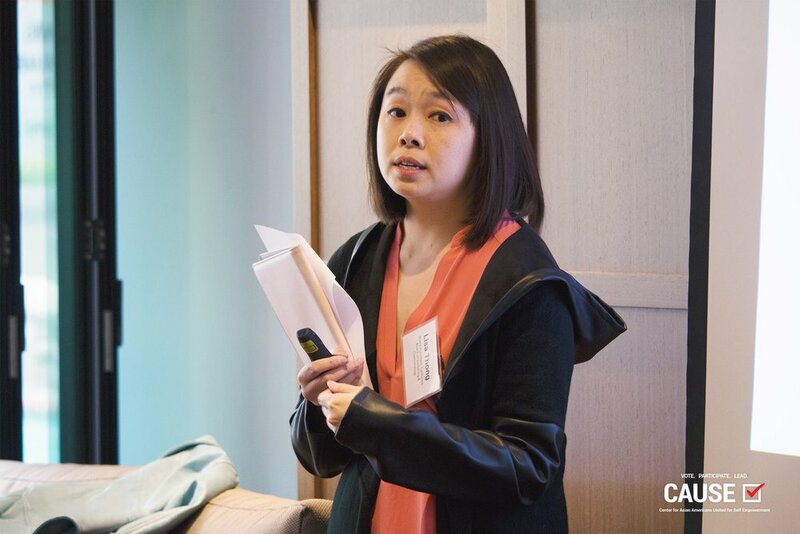 Next, Dora Quach, Development Manager at East West Players, and Scott Chan, Director of API Forward Movement led the network in setting up ground rules for the day. Dora encouraged everyone to “take space and make space” to emphasize that, while it’s important to share your own thoughts, it’s also important that everyone’s perspectives are heard. Scott followed up by encouraging everyone to share their ideas, even if they’re developing, and to focus on contributing to the conversation. Other members of the network continued to propose ground rules, such as “Always be calm and collected”, “Be open-minded, “Don’t yuck my yum”, and “Call-in, not call-out”. After a brief introduction from each of the attending Leadership Network members, the day continued with a “You-logy” exercise led by Lisa Thong. 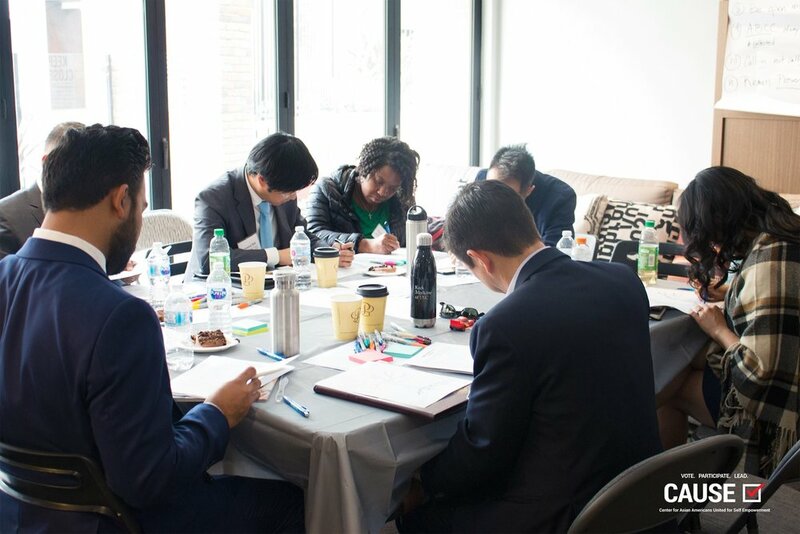 The exercise allowed everyone to reflect and consider how they want to be perceived outside of their résumé and what kind of lasting impact they want to make on their communities. Lastly, Lindsey Horowitz, Corps Member for Teach for America, led the network members through a Vision Tree exercise. Members were encouraged to map out aspects of themselves and their values and share it with the rest of the network to get to better know each other on a more intimate level. The day concluded with conversations between the members as they continued to connect and learn about each other’s experiences. We’re so excited to see what’s to come for the 2019 Leadership Network!